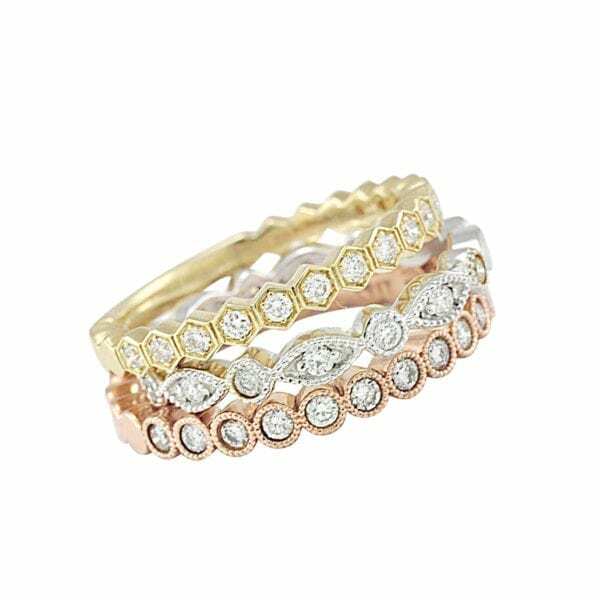 14 karat yellow, white, or rose gold stackable diamond rings. Prices starting at $399. I am requesting information for Stackable Rings.